Out with the old, and in with the new. 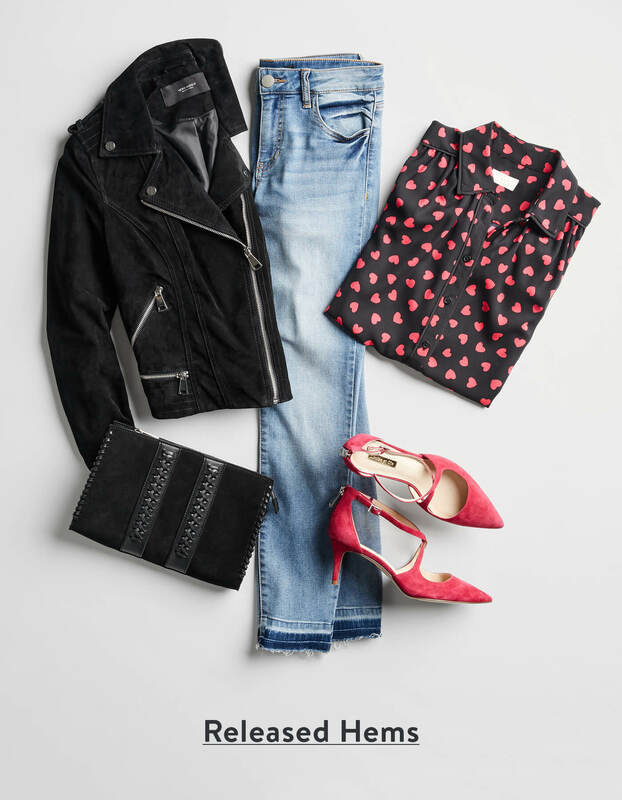 We’re rounding up the denim trends hitting the streets in 2019. Wondering how to wear novelty colors or stylishly distressing details? We have the answers. Pick your favorites, and ask your Stylist to send them in your next Fix. 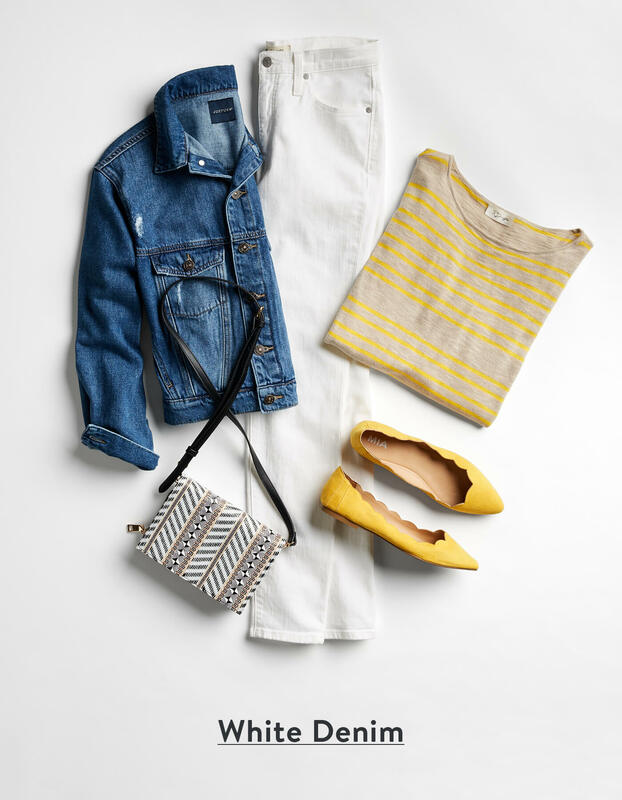 Make sure your jeans are next-level chic by showing your true colors. You can’t go wrong looking pretty in pink. 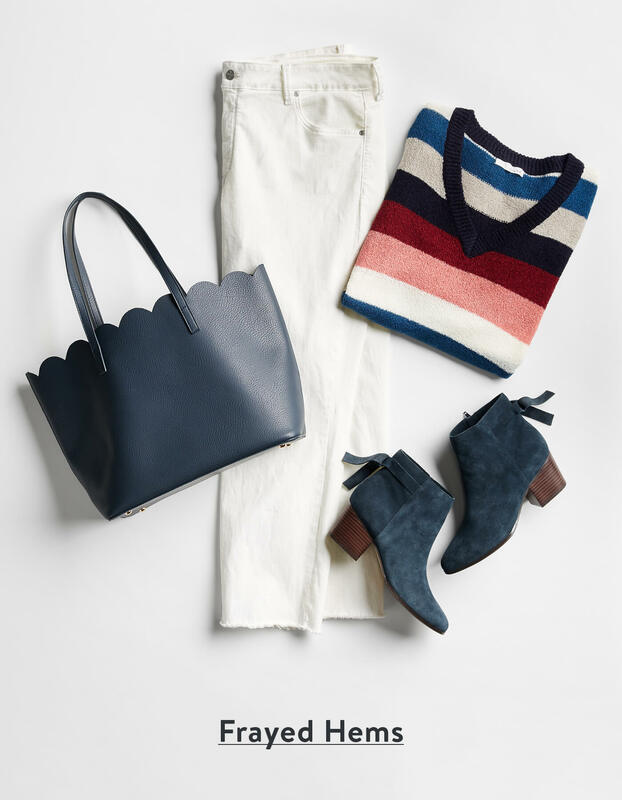 The winter blues have nothing on you when you’re sporting bright whites—even through the colder months. 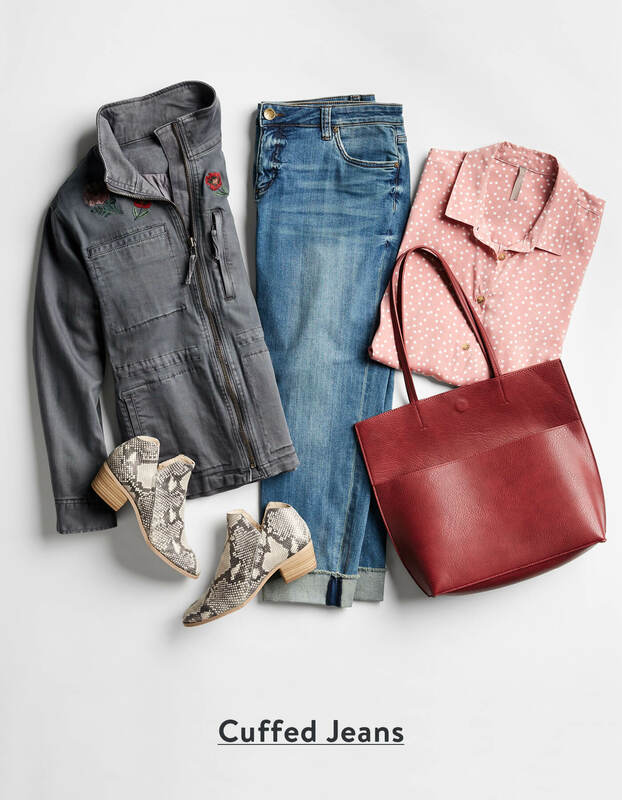 Free your hems for a raw denim vibe you can serve up with your best prints, pumps and accessories. 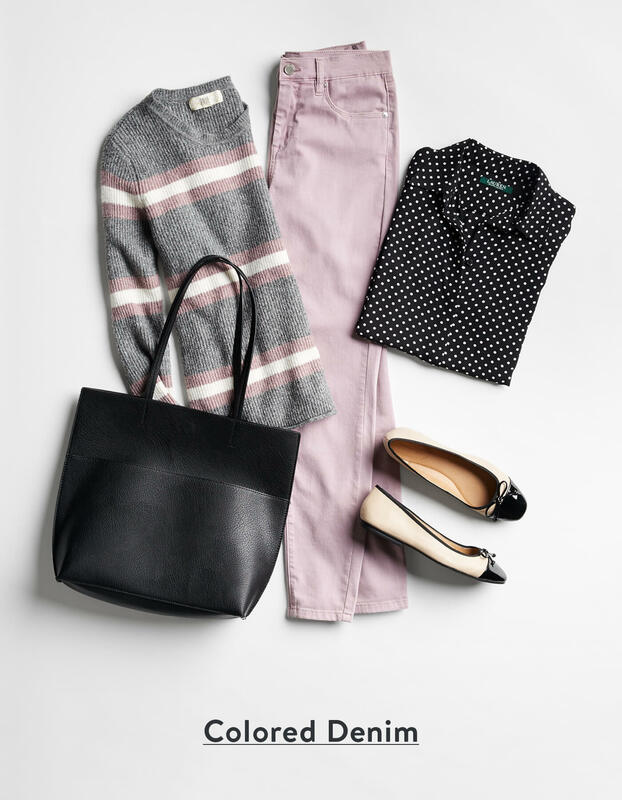 Get into the fray for an instantly trendsetting look that puts out a fashion distress call (the good kind). Cuffing is in season, so refresh your whole denim lineup with this easy switch that shows off your newest footwear. 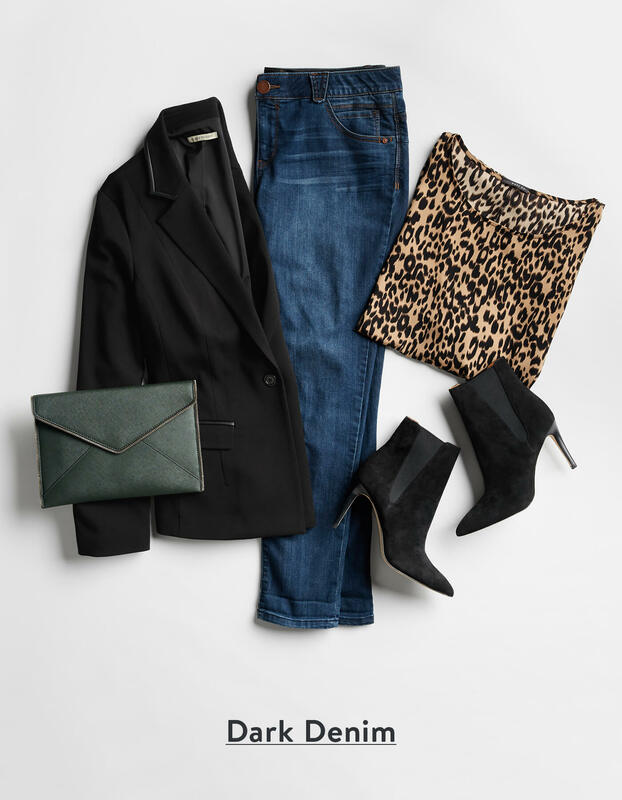 See a 2019 jeans trend you can’t wait to try? Ask your Stylist to send it in your next Fix.